We need your thoughts and prayers! 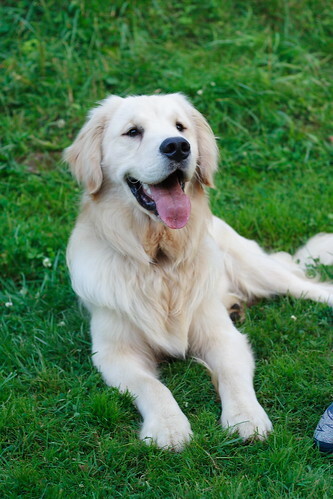 He was a happy and healthy 18 month old Golden retriever Tuesday. Wednesday, after a surgery he went through ( he had a hernia and undescended testicles) he developed a massive infection! He almost died Saturday and now is in a critical condition at the hospital. I haven't written many posts since Wednesday because of that. I haven't slept for that matter either. We are all devastated and we were hoping for your good wishes and prayers! Please, take a minute and send us some positive thoughts, we really need it!